Lewis is unhappy that his holiday time is interrupted by having to look after a spoiled pop star who is in danger. He thinks Alex is the stereotypical pop star but he couldn't be more wrong. Alex is having a hard time of it. It's scandal he doesn't need and to top it off he is now in danger and needs protection. The book is set on a Scottish island where Lewis' family lives. Lewis and Alex must deal with their attraction to each other while dealing with the dangers that are lurking. There is a bit of suspense and a lot of lust. 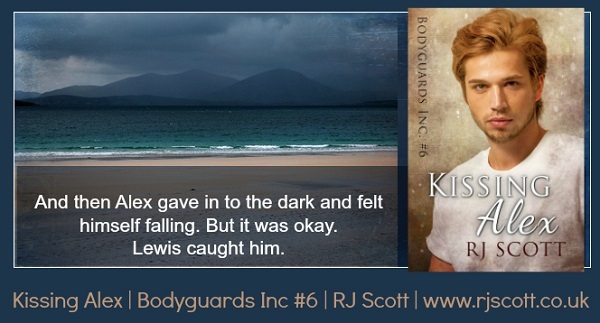 Kissing Alex is the 6th book in RJ Scott's Bodyguards Inc. series and can be read as a standalone. I have not read the previous books. This is a lovely, relaxing read that didn't require too much thought from me. Luke and Alex made a nice couple, but the story was formulaic and easily forgotten. My favourite thing about the story is the setting on the island off the cost of Britain, which is beautiful and made me want to go on holiday. This is the sixth in a series, but I have to admit it is the first that I have read – something I plan on remedying very soon. It is well written, has interesting plots/subplots, and is deliciously hot. I spent a wonderful summer up in the Hebrides, and this book describes brilliantly the beauty and the remoteness of that part of the world. The need to keep communities going and yet the desire to also see outside the area explains Lewis's behaviour, and Alex's reaction to the island that Lewis loves has a huge impact on him. As Alex falls under the spell of the island and Lewis, he is seriously considering his future as part of the boy band. Telling the story from both leads makes sure that we get fully immersed in these men's story, and it is difficult to stop turning the pages. Be warned! 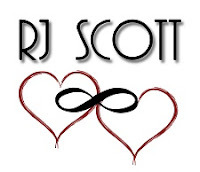 Many thanks to R.J. Scott for another satisfying read. 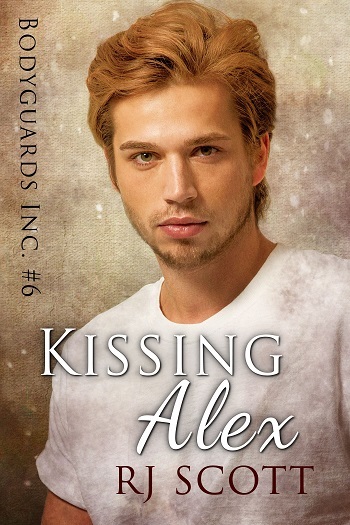 Reviewers on the Wicked Reads Review Team were provided a free copy of Kissing Alex (Bodyguards Inc. #6) by RJ Scott to read and review for this tour.